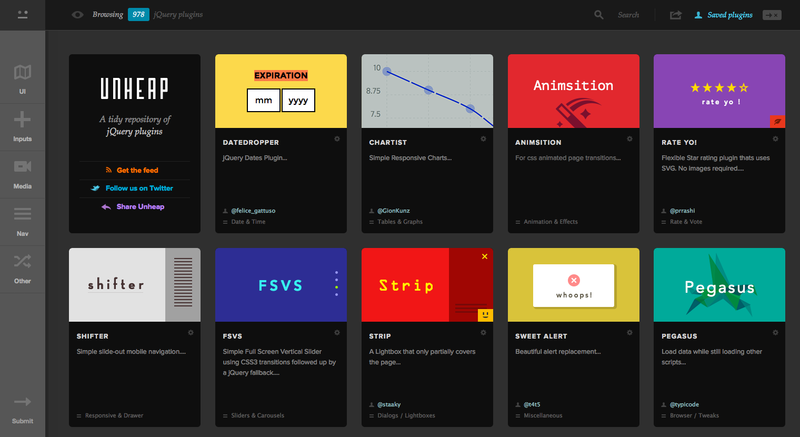 Waves is a click effect tool inspired by Google’s Material Design. The plugin adds a simple wave (or ripple) to buttons and other user interface elements to show users that they have clicked the item. Once Waves is installed, you can adjust a couple of simple parameters if you like and initialize the plugin. Waves works with all modern browsers including Internet Explorer 10+, Chrome 14+, Firefox 9+, Safari 5.1+, Opera 11.6+, iOS 6+, Windows Phone 8.1 and Android Browser 4+.